National Forestry Corporation (Conaf) announced a criminal complaint for attacks by a brigadistwhile fighting forest fires in Temuco. Army evaluates to perform one special patrol in the municipality, which is the only one of La Araucanía without a state of emergency. The attack occurred under the control of a fire source in the Chivilcán sector, on the National Monument slopes Cerro Ñielol. at least two people would have attacked with knees of fists in the face of the brigade in Villarrica, Alex Sandoval. The victim was slightly injured, so he was treated in a health care facility, returning to work again today. The regional director of Conaf, Julio Figueroa, confirmed the submission of a lawsuit against those responsible for this attack, which he described as "common crime". The president of the National Federation of Conaf, Erry Leiva, condemned the attack and hopes that those responsible are for justice. Meanwhile, General Rodrigo Pino, head of defense in La Araucanía, does not rule out providing protection against the brigadists if the technical units request it. On the other hand, the Temuco Court abolished the precautionary measure for national roots for the Mapuche member Sergio Castro Epul. The defendant was charged with detention, as the prosecution adopted its authorship at the beginning of a forest fire in Lorenzo Epul's municipality. 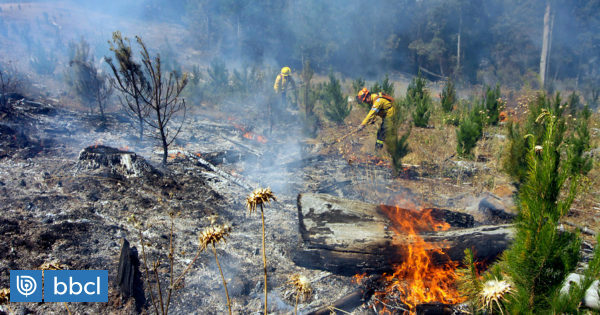 So far, they are registered 627 forest fires: 257 in the province of Cautín and 370 in Malleco, which has affected 15,499 hectares, 57% more than on the same date in the previous season.